Dr Gergina Krysteva is an Assistant Professor in History of Bulgarian Literature after World War I at the Paisii Hilendarski University of Plovdiv. 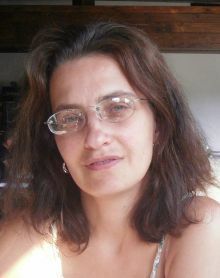 She holds an MA in Bulgarian Philology from the St. Cyril and St. Methodius University of Veliko Turnovo and a PhD in Contemporary Bulgarian Literature (2007) from the Paisii Hilendarski University of Plovdiv. Contributor to the "Stranitsa" journal and author of a great number of academic publications. Literary consultant of the Translators' Studio.